In the fall we like to use apples for a lot of hands-on learning.In the past we’ve used “falling” apples to practice addition. We’ve done apple threading to spell our names and other words. And we’ve tried this fun fine motor twist on “bobbing” for apples. 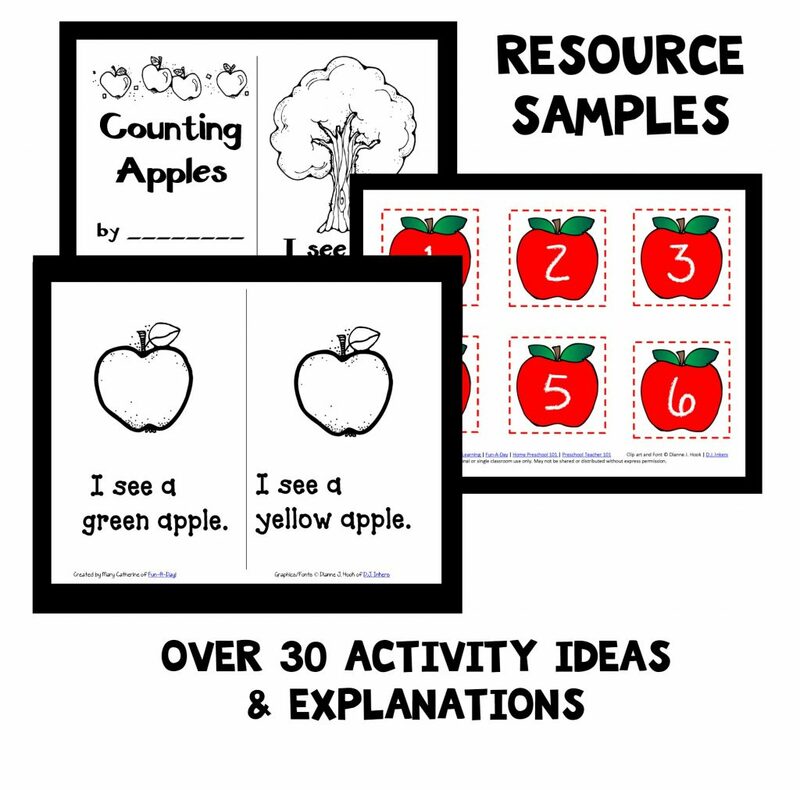 This year we added an extra fun challenge to our math time with this apple ten frame fine motor math activity. 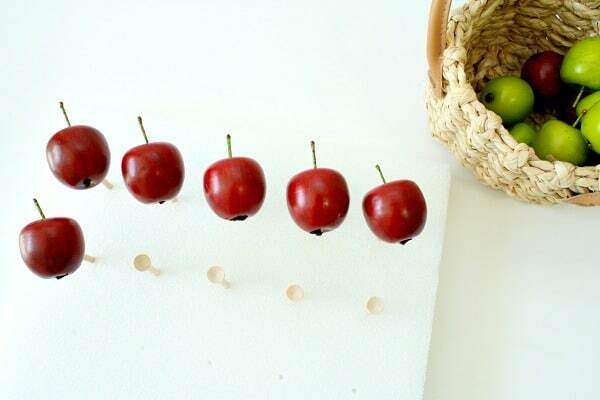 Use it to practice a variety of math skills while trying to balance the apples carefully. 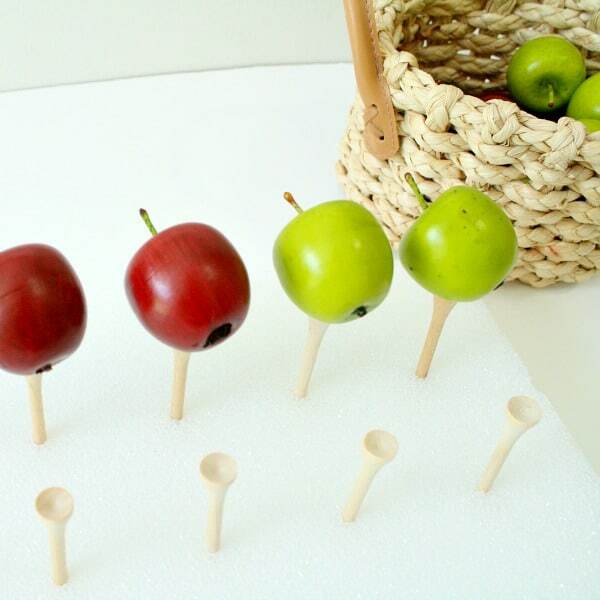 Small Apple Figures-Ours are approximately 1.5 inches in diameter. We found them at Walmart, but many options can be found in seasonal sections at a variety of stores. Styrofoam Block-Ours is 12 x 12 x 1, but use what you have especially if you already have styrofoam around the house. 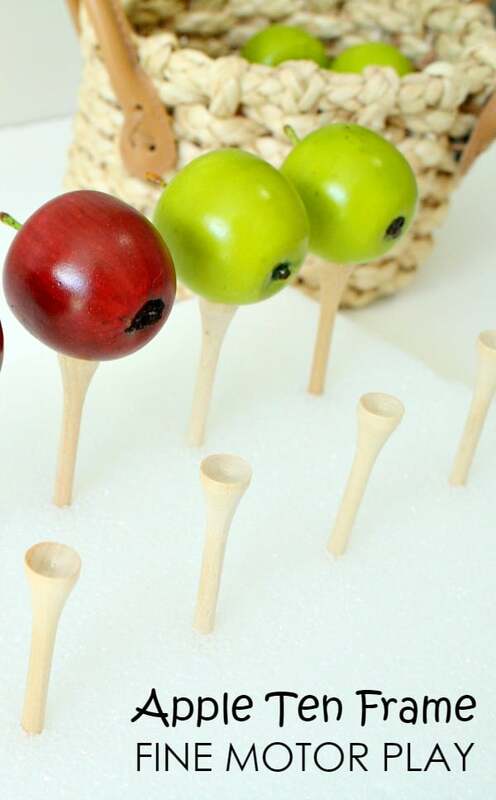 Note: If you can’t find apples or the activity is too challenging with them, then you can also try using other manipulatives like red marbles and green marbles or playdough balls to represent apples. To set up the activity make a ten frame on the styrofoam board. I used a ruler to place the golf tees approximately 2 inches apart. 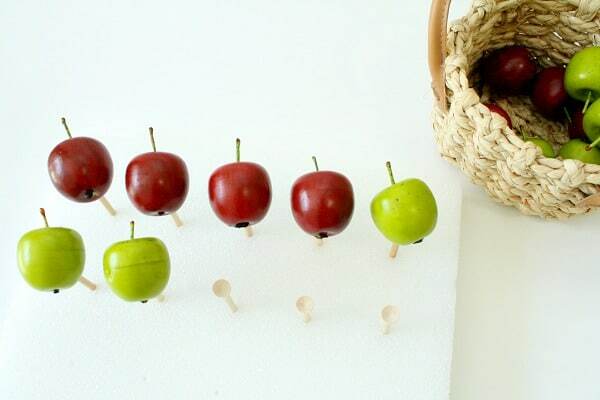 Then place the apples next to the prepared ten frame as an invitation to play. 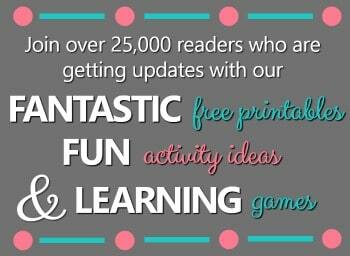 Allow your child to spend some time freely playing with the items. Then introduce the math concept you want to practice. In our full task cards set we’ve included cards kids can use to practice matching sets, number recognition, number word recognition, making combinations, and addition. Practice these skills by using task cards or giving oral directions. 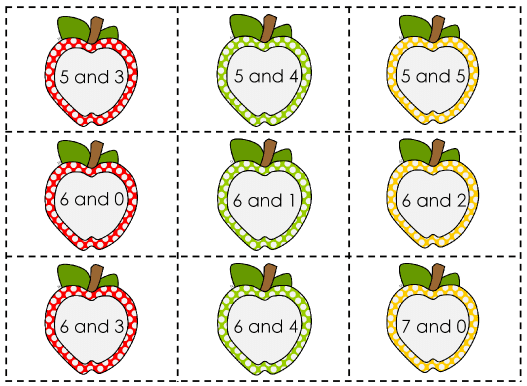 Have kids show the correct number of apples in a single color on the ten frame. Remeber that when we use a ten frame we start at the top left and fill the spaces from left to right and then down to the second row just like reading. This helps kids get a visual representation of number sets that will be helpful in math activities later on. To practice combinations name two numbers that add up to a number that is 10 or less (4 and 3 in the example below). 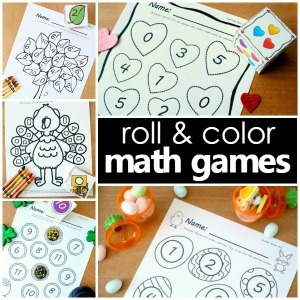 Have kids use different colored apples to represent each number. Again this helps them get a visual representation of the numbers being combined. Once the apples are balanced on the golf tees count how many there are in all. Practice addition sentences in the same way. Use visuals or our apple task cards with the plus sign instead of the word and (4 + 3 in the example below). Use this 9-page free printable combinations task card set to set up this up as an independent math activity for kids to practice after you’ve introduced the manipulatives and how to use them.